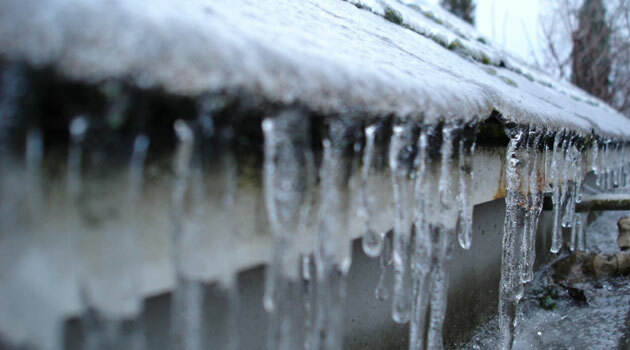 Water intrusion caused by ice dams can contribute to rotted roof decking, respiratory illnesses (allergies, asthma, etc.) caused by mold growth, reduced effectiveness of insulation (wet insulation doesn’t work well), and peeling paint. This may happen long after the ice dam has melted! Prevent ice dams by keeping the entire roof cold. This can be accomplished by sealing up all air leaks to the attic, or removing snow from the roof. (Be sure to do this safely – use a roof rake from the ground). What not to do – don’t try manually removing the ice! It’s tempting to grab a shovels, hammer, ice pick, rake, or whatever destructive items can be found in the shed. The roof can be easily damaged by these efforts, as can the homeowner, when they slip off of the icy roof.